Grid-tied solar arrays are the most common type of installations by Sun Pacific Solar, whether commercial or residential. Depending on your goals for moving towards energy independence, a grid-tied solar electrical system allows you to either drastically reduce or entirely eliminate your monthly energy bill by offsetting your usage with solar production. Grid-tied systems are the most cost effective way to produce and consume solar electricity. Sell your excess electricity back to Edison/PG&E. Increase the value of your home by an average of 3-3.5%. Saves you thousands of dollars on your electricity bill over the array’s lifetime. Low maintenance systems keep you worry free. Durability combined with beauty compliment your home or office. 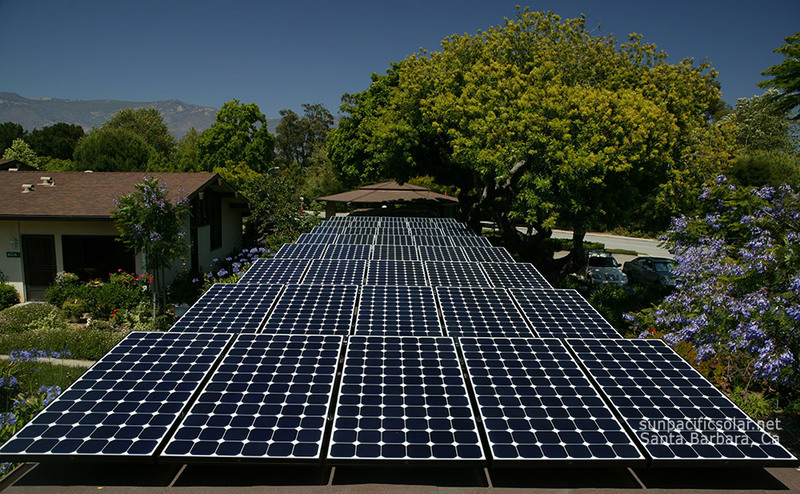 A commercial solar grid-tied installation at a retirement home in Santa Barbra. We install solar panels on all types of roofs. Panels can also be installed on the ground and we can incorporate them into new structures. Every component of our solar systems is only of the highest quality available, from the bolts and steel, to the inverters and solar panels, and we design our systems to accommodate the addition of more panels in the future (should you wish to add an Electric Vehicle charger or other increases in energy usage). 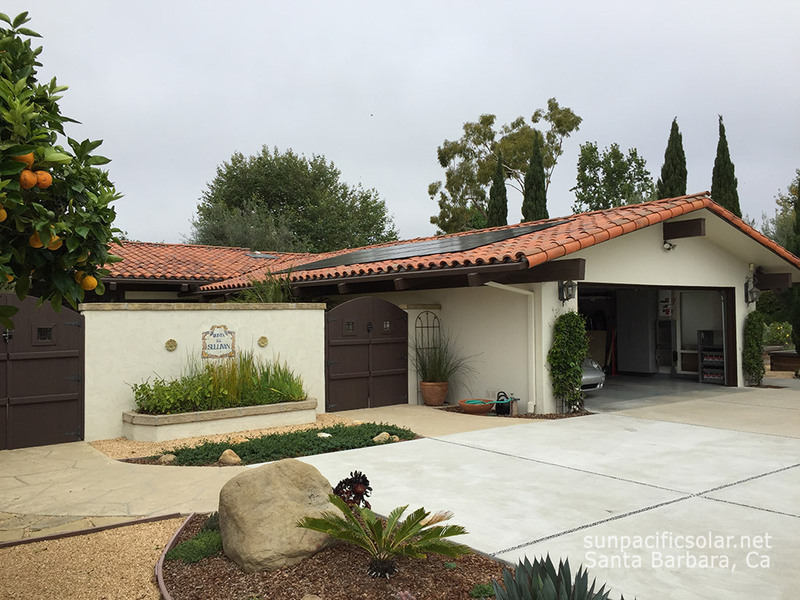 A SunPower installation with battery backup. Our team is built on years of electrical experience. We have a complete understanding of the solar electric systems we design. All of the electrical work required to install your system is done in house by our licensed and trained electricians. Our workmanship is of the highest quality and fully backed by our service warranty. We care about helping people enter into a confident state of energy independence, and you can count on us to create a beautiful custom solar system that will last. 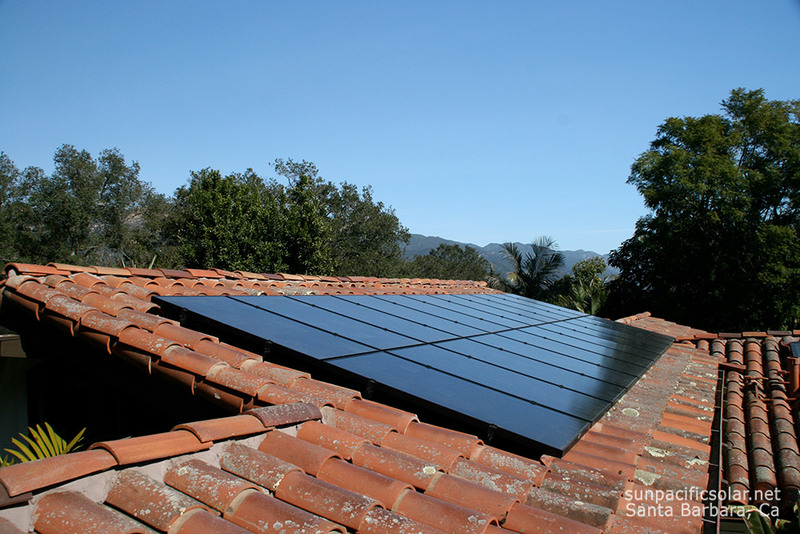 An all black SunPower array on a tile roof in Montecito, California. You can also choose to add an energy storage system (also called battery backup or micro-grid) to your array to provide you with energy independence and resilience in case of power outages. When the utility grid goes down, grid tied solar systems must shut down by law, however battery backup mitigates this. Adding a battery backup does add to the overall cost of the system, but will provide you with power during any grid outages. To learn more about our micro-grid options, click here. 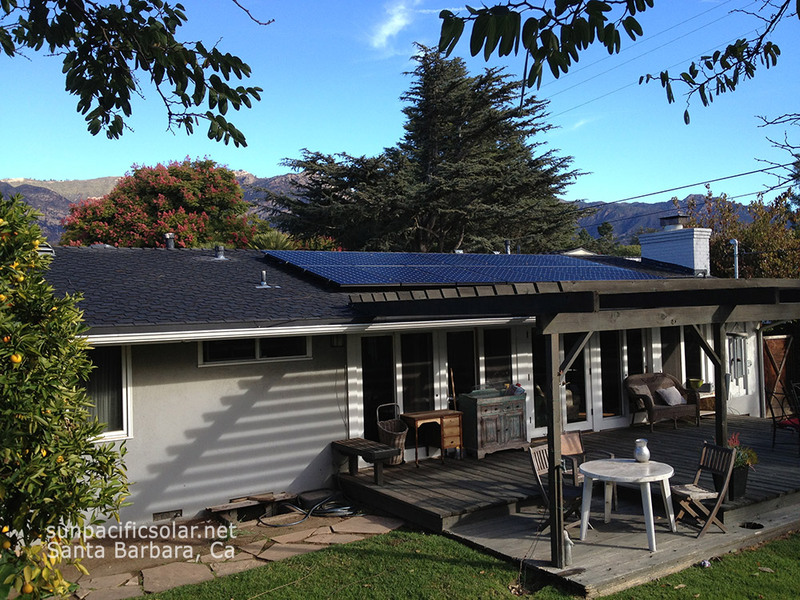 SunPower panels on a comp shingle roof in Santa Barbara. Sun Pacific Solar installs grid-tied solar arrays for both commercial and residential use. 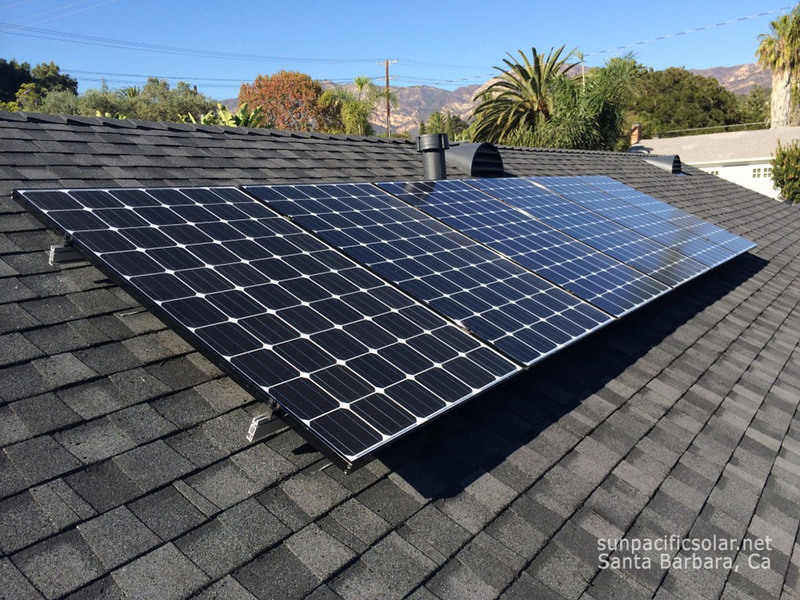 A SunPower panel array on a comp shingle roof in Santa Barbara.